Andrew Blum is the author of Tubes: A Journey to the Center of the Internet (Ecco), the first book-length look behind the scenes of our digital lives, at the physical heart of the Internet itself. Tubes is a book about real places on the map: their sounds and smells, their storied pasts, their physical details, and the people who live there. Sharing tales of his on-the-ground reporting, along with lucid explanation about how the Internet works, Blum helps us understand the physical world that underlies our digital lives, presenting a unique perspective on the role of technology by looking at it as something accessible, present, and wondrous. We are all connected now. But connected to what? In his keynote speeches at corporate conferences, colleges, and community events, Blum takes audiences on a fascinating journey to find out. As Blum writes, the Internet exists: it fills buildings, converges in some places in the world and avoids others, and it flows through tubes, along train lines and highways, and under oceans. You can map it, you can smell it, and you can see it. Blum goes behind the scenes of our everyday lives and combines first-rate reporting, engaging and lucid explanation into a fast-paced quest to explain the world we live in. From the room in Los Angeles where the Internet began to the busiest streets in Manhattan as new fiber optic cable is laid down; from the coast of Portugal as a new transatlantic undersea cable that connects West Africa and Europe is laid down to the Great Pyramids of our time, the monumental data centers that Google and Facebook have built in the wilds of Oregon -- Blum visits them all to chronicle the dramatic story of the Internet's development and explain how it all works. For all the talk of the "placelessness" of our digital age, the Internet is as fixed in real, physical places as any railroad or telephone ever was. Blum expertly pulls back the curtain on the defining fact of how we live today, and the result is a wild and eye-opening adventure story. Before falling into the Internet's depths, Blum was writing about architecture, design, technology, urbanism, art, and travel. Since 1999, his articles and essays have appeared in Wired, The New York Times, The New Yorker, Business Week, Metropolis, Popular Science, Gizmodo, The Atlantic, Architectural Record, and Slate, among others. He has degrees in literature from Amherst College and in human geography from the University of Toronto, and lives in his native New York City with his wife, daughter, and an elderly black dog. "Quixotic and winning. . . . Valuable, comic. . . . [Blum has] a knack for bundling packets of data into memorable observations. What makes Tubes more than an unusual sort of travel book, is [Blum's] sense of moral curiosity." "Ingeniously beguiling. . . . Blum is a smart, imaginative, evocative writer who embraces the task of making his readers feel the wonder represented by these unprepossessing objects." "An engaging reminder that, cyber-Utopianism aside, the internet is as much a thing of flesh and steel as any industrial-age lumber mill or factory. It is also an excellent introduction to the nuts and bolts of how exactly it all works." 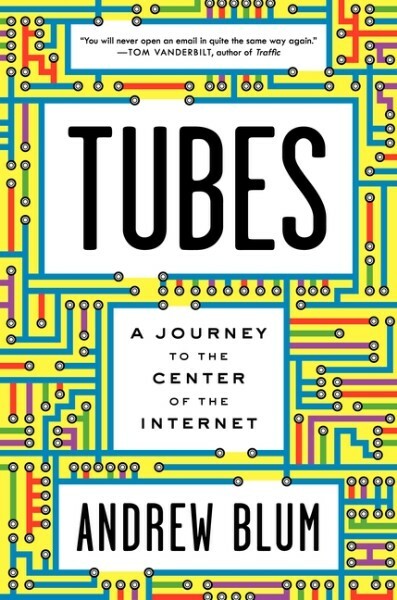 "Tubes is an absorbing tale of this new technology, as well as a wonderful account of the Internet's growth and the people who made it possible." "Clever, enterprising . . . Tubes uncovers an Internet that resembles nothing so much as a fantastic steam-punk version of itself." "Engaging. . . . Full of memorable images that make the internet's complex architecture easier to comprehend. . . . Blum leaves readers pondering questions that would not have occurred to them before and better informed about an innovation most of us take for granted." "Blum paints a vivid picture of the Internet, and gives a sense that it is more than just the mysterious interstitial digital space between your computer and mine. It is, increasingly, the backbone that supports our daily life, and Mr. Blum is an able anatomist." "Every web site, every email, every instant message travels through real junctions in a real network of real cables. It's all too awesome to behold. Andrew Blum's fascinating book demystifies the earthly geography of this most ethereal terra incognita." "Andrew Blum's journey in search of the internet -- the actual physical wires-and-tubes reality of our 21st century ethereal life -- takes him from the subterranean world under New York's manhole covers to Cornish fields and Portuguese cable-laying vessels. At once funny, prosaic, sinister and wise, Blum's tale is a beautifully written account of the true human cost of all our remote connectivity." "We think of the Internet as a kind of ether, a magical way of transporting words and images from anywhere to anywhere else. But there is a vast physical infrastructure behind all that magic, and in Tubes, Andrew Blum, one of our best writers on the built environment, discovers it and turns it into a compelling story of an altogether new realm where the virtual world meets the physical." "Like some heroic cartographer from a Borges story, Andrew Blum plunges into the unseen ether of the Internet, in a journey both compelling and profound. For the first time Tubes brings the 'network of networks' into stirring, and surprising, relief. You will never open an e-mail in quite the same way again." 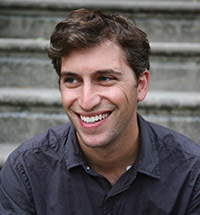 "With infectious wonder, Andrew Blum introduces us to the Internet's geeky wizards and takes us on an amiably guided tour of the world they've created, a world of wires and routers through which most of us daily wander, blinkered by our shimmering screens, but which few of us have ever really seen -- or heard, or for that matter smelled. (Yes, the Internet has a smell, Blum is here to report.) Though less ethereal and a bit dingier, the Internet that Blum's beautifully lucid prose makes real turns out to be if anything a more marvelous place than the cloudy dreamland we'd imagined."